The Cessna Citation is a reliable, safe and efficient business jet. 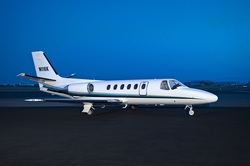 KaiserAir operates three Citations, which are perfect for short regional trips. The Gulfstream is always the right choice for long-haul, or ultra-VIP travel. 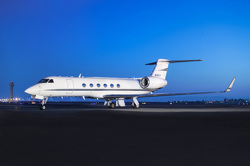 KaiserAir operates three immaculate Gulfstream aircraft on our charter certificate. Contact KaiserAir's Charter Sales department to help you find the right aircraft. You can or reach us at +1 (510) 553-8403.